Since social media is a relatively new communications channel, some in the healthcare marketing arena assume that it’s risky. On the contrary, there are no risky media and no evidence to prove that one channel is more secure than another. Unfortunately, the false impression remains that using social platforms comes with a higher level of risk and a greater likelihood of violating FDA social media rules, which are now practically non-existent in terms of digital media. 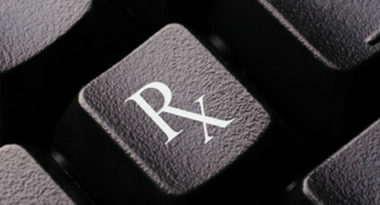 Yet even if the FDA provided a clear set of social media guidelines, there is no guarantee that they would be heeded. So to help healthcare marketers navigate social media and digital tactics as compliantly as possible, MediaPost.com offered the following three tips. 1. Get to Know the Technology – Knowledge is power, so it’s essential to learn about social media’s various formats and functions from the inside out to compliantly use the technology. This requires more than basic knowledge, so it can be helpful to work with a social media specialist who can easily answer any questions and quell concerns. 2. Review the Right Content in the Right Context – It’s important to assess for compliancy based on the details of the social media and the digital channel. Just as for any other media channel, the material must be judged by the particular subject and setting. 3. Comply with Current Guidelines for All Media – The best bet is to follow the same FDA rules in place for other media. For pharmaceuticals, these include stating the generic name along with the brand name, presenting both the benefits and risks of products, making label information available, and citing all claims on the product label. No one media is riskier than any other, but using them all compliantly requires knowledge of FDA guidelines and good old common sense. Only time will diminish false illusions about social media, but it’s never too soon to start exploring digital channels and discovering the value they can bring to the brand. To learn more about integrating social media into your healthcare marketing strategy, contact MDG Advertising today at 561-338-7797 or visit mdgadvertising.com. MDG Advertising, a full-service advertising agency with offices in Boca Raton and New York, NY, is one of Florida’s top healthcare marketing companies, whose clients include Dental Care Alliance, MDVIP, Max Planck Florida Institute, HCA East Florida, and Primary Pharmaceuticals. Our 360° approach uses just the right mix of traditional and digital marketing to reach your advertising goals. While some industries may fare better in print and others online, we strive to create a balanced approach, where traditional, digital, and social media marketing efforts support each other and your message is tailored to the medium. To learn more about the latest trends in healthcare marketing and advertising, contact MDG Advertising today at 561-338-7797 or visit mdgadvertising.com.